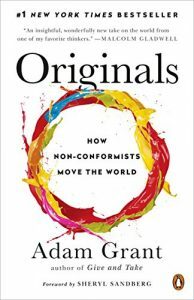 Originals by Adam Grant studies studies highly successful professionals who make originality their centerpiece. The author seeks to distill what makes successful artists and authors successful. Originals is co-authored by Sheril Sandberg as well, author of Lean In. There are plenty of examples in Originals. I find the examples to be interesting but too much based on correlation to be real proofs for the theories. Hence, I will skip most of them here. The author says that there are two paths to success: conformity and originality. Originals take have the same fears and the same doubts as conformists. But what differentiate originals is that they take action in the face of fears and doubts. Adam Grant makes the point that they know in their hearts that failing is better than failing to try. Questioning the default starts with curiosity, such as pondering why the status quo even exists. Keep in mind that the rules and the status quo is set by people, and it can be improved by people -and you- as well. A study of customer representative found that people who used Firefox or Chrome were happier and more effective on the job. The simple fact of rejecting the default browser meant that those people looked for better alternatives to the status quo. While you might think that entrepreneurs necessary takes risk, you can differentiate between risk-it-all entrepreneur and risk-averse ones. And a study of entrepreneurs revealed that those who kept their day job instead of going for broke for example, were 33% more successful. Contrary to popular beliefs originality really thrives on experience. Domain experience allows the originals to see patterns and improve their intuitions. The “eureka” moments are much more reliable when they come from an expert. However, when you develop deep and continued expertise in one field only, you tend to become defensive and have difficult in changing. And that’s why you must combat that by broadening your interests. For example, scientists who also engaged in artistic pursuits were several times more likely to win the Nobel prize. In the creative arts quantity equals quality. Albeit most people assume that there is a trade-off between quality and quantity, it turns out that quantity is one of the most predictable paths to quality. You can increase your creativity by taking a break before starting your task. This happens because when you start a task and finish it, your mind stops thinking about it. 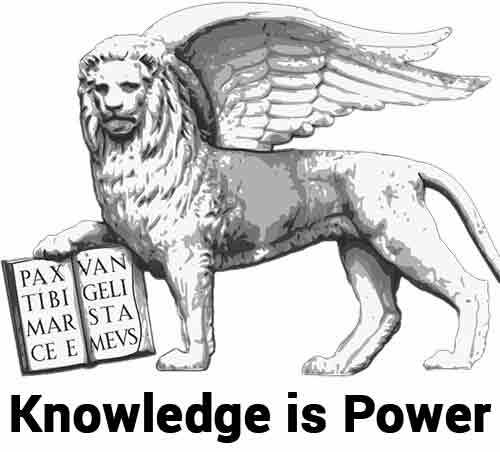 But when you start a task and then interrupt you let it “marinate” in your mind and allow it to connect laterally with other information in your mind. I really loved to learn the concept that to do great work you need to produce lots of creative ideas. I’d like to see some more research on it, but for now I take it for good as it does make some sense indeed. If you vent against someone you get angrier and your rage will accomplish little. If you get angry for something you can channel that energy into something more productive. For example in creative endeavors or in making possible nothing similar will ever happen again. Originals relies heavily on correlation to explain things. For example, it says that because nobel prize winners who engaged in both arts and science were more likely to win the Nobel prize, then that must mean that broadening your interests makes you more successful. Or it says that Leonardo didn’t finish the Mona Lisa for 15 years as an example of effective procrastination. But that is not proof that procrastination is effective. The author recommends that if you want to have your idea accepted you should start with the negative aspects of it. That will make you a more credible source. But anyone who’s studied psychology know that’s a gross over-generalization. What’s effective is highly contextual and depends on the type of audience you’re facing. There are some great ideas here for people who are looking to improve the quality of their work. 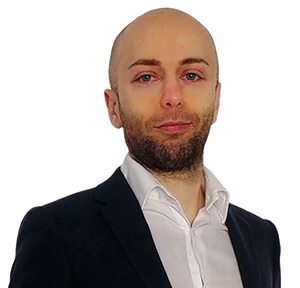 Originals is similar to Malcom Gladwell books and Daniel Pink in the sense that it takes important social science researches and seeks to apply them to daily problems in life. That approach is interesting and piques people’s curiosity. And it’s useful: after all what’s research for if it doesn’t help improve our lives? The risk with this kind of approach is that some writers might misundersrtand and take researches out of context –as Gladwell did with the 10.000 hours rule for example-. Or, in journalistic fashion, exaggerate and make big claims that the research doesn’t really back -as in Emotional Intelligence and Emotional Intelligence 2.0-. In my opinion, Adam Grant does a good job here and Originals present quite a few of good ideas that can indeed be helpful to anyone who’s busy with creative endeavors.